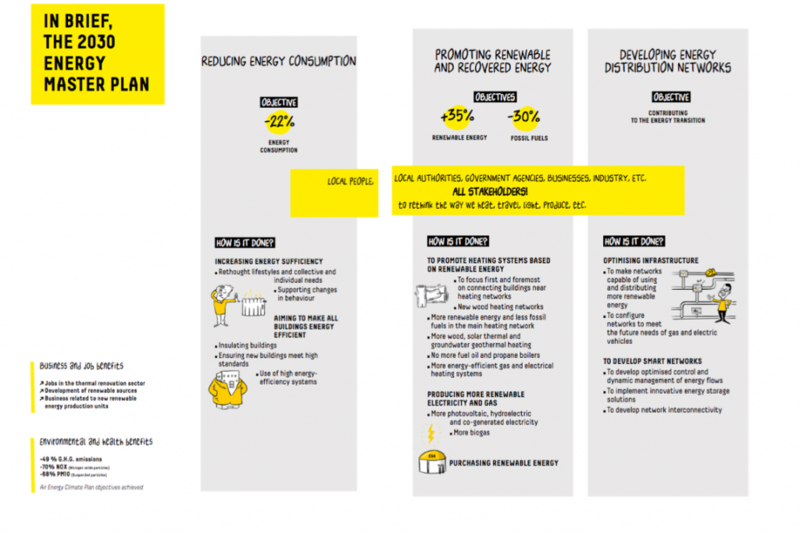 The real way to move forward in the energy transition is to consume less energy to heat, move, manufacture … The need is also to gradually replace fossil fuels such as gas, gasoline and fuel oil by renewable energies! To achieve this, the Grenoble metropolitan area has a demanding roadmap by 2030 : reduce all energy consumption by 22%, boost renewable and recovery energies by 35% and reduce fossil energies by 30%. Between climate change and an ever-increasing cost of energy, everything is pushing us today to understand our energy consumption differently. The challenge is great, but there are many resources in the Grenoble area. Grenoble-Alpes Métropole is positioning itself as a pioneer territory in this field. The modeling of the data then made it possible to calculate the economic and environmental relevance of a set of actions: insulation of buildings, change of boilers, etc. 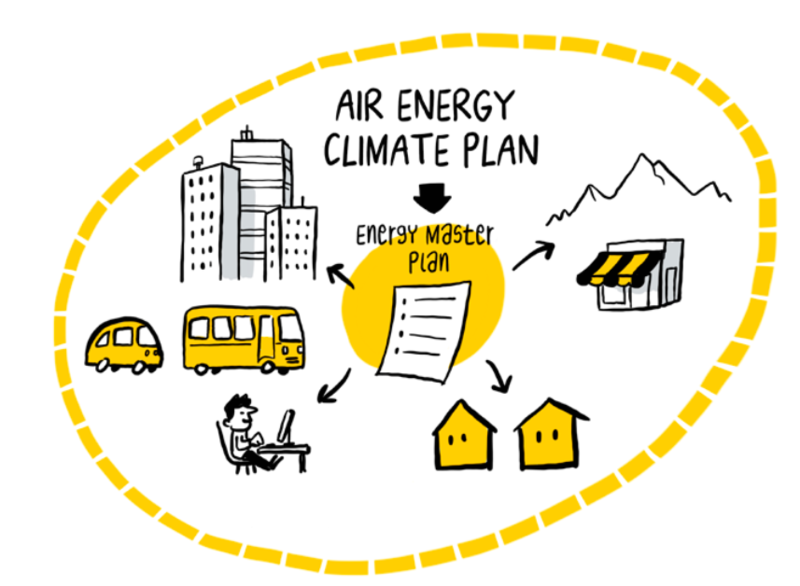 The selected actions consitute the scenario presented in the Energy Master Plan.